Don’t have a credit history? You’re not alone: A small percentage of U.S. consumers are considered "credit invisibles," adults who for whatever reason have never built up enough of a credit history to have a credit score. You might think that if you are one of these credit invisibles, you have no chance to qualify for a mortgage. But that’s not true. There are loan programs out there that can help even those with no credit history at all qualify for a home loan. Michael Foguth, founder of Foguth Financial Group in Brighton, Michigan, that he has worked with buyers, usually first-time ones, who don't bring a long, or any, credit history. "They might have a good payment history with their bills, but they don't have a traditional credit history that lenders look for," Foguth said. Consumers shouldn't let not having a long, or any, credit history scare them away from applying for a mortgage loan, said Adam Smith, president and founder of Greenwood Village, Colorado-based The Colorado Real Estate Finance Group. That's because borrowers can turn to government-insured loan programs that accept alternative forms of credit. "Credit history, whether you have a limited credit history or no credit history at all, is not enough to kill a mortgage deal, by any stretch," Smith said. "As long as borrowers have a viable payment history with alternative forms of credit, with no defaults, they can get a mortgage." The challenge for borrowers with no credit history? Mortgage lenders rely heavily on borrowers' three-digit FICO credit score when qualifying borrowers. Lenders reserve their lowest mortgage rates for borrowers with high FICO scores, usually 740 or higher, because a high FICO score demonstrates that borrowers have used credit wisely and paid their bills on time. Borrowers build a credit history, and FICO score, by paying off such accounts as auto loans, student loans, personal loans and credit cards on time each month. The problem comes when borrowers don't use credit and don't have revolving loans to pay off. On-time payments to apartment landlords, utilities, cell phone providers, cable TV services and medical professionals are not reported to the three national credit bureaus of Experian, Equifax or TransUnion. This means that consumers receive no credit boosts from making these payments on time. There are consumers, then, who never pay a bill late but still don't have any credit history. These consumers probably won't qualify for a conventional mortgage, a loan not insured by a government agency, Smith said. But they do have an excellent chance -- as long as they've paid their bills on time each month -- to qualify for a mortgage insured by the government. 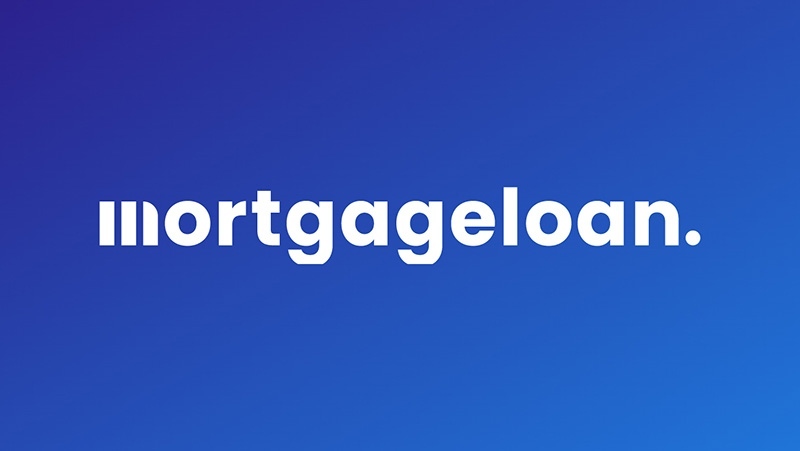 These include loans insured by the Federal Housing Administration, known as FHA loans; U.S. Department of Veterans Affairs, known as VA loans; and U.S. Department of Agriculture, known as USDA loans. The good news? These loans often come with lower interest rates. And VA and USDA loans are considered some of the top mortgage products available because they don't require down payments. There is a catch, though: Both VA and USDA loans are targeted to a very specific set of home buyers. To qualify for a VA loan, you must be an active-duty member or veteran of the U.S. Armed Forces or the surviving spouse of a deceased member of the military. And to qualify for a USDA loan, you must buy a home in an area of the country that the federal government designates as rural. However, FHA loans are open to everyone. And that’s a good thing. Foguth said that FHA also offers a benefit to borrowers who might not only have a limited credit history, but limited money, too. "It offers one of the lowest down payment requirements available," Foguth said. They don't require no down payment. But borrowers with a good payment history can qualify for an FHA loan with a minimum down payment requirement of just 3.5 percent of a home's final purchase price. "These government-insured programs are stellar programs," Smith said. "Nine out of 10 times, if you qualify for one of them, it's a better route than a conventional loan." If you don't have a credit history, how can you qualify for one of these government-insured mortgages? Lenders originating these loans must accept what the government calls alternative forms of credit. This can include a history of on-time payments to utility providers, insurance companies, doctors, apartment landlords and cell phone providers. Smith said that lenders just need evidence that even though you haven't built a traditional credit profile you do have a history of paying your bills on time. This makes it less likely, in lenders' eyes, that you'll default on your future mortgage payments, Smith said. Smith said that he doesn't see many people who don't have any credit history. But he does see some. He pointed to an older couple whom he is working with now. The couple needed the incomes of both the husband and wife to qualify for the mortgage amount they wanted, Smith said. The challenge was that the wife had no credit history. To get around this, the couple is applying for a VA loan. The wife is providing alternative credit evidence while the husband is relying on his more traditional credit profile, Smith said. "It is rare to see someone with no credit history, but it does happen," Smith said. Corey Vandenberg, a mortgage banker with Platinum Home Mortgage in Lafayette, Indiana, agreed that the FHA is the best option for borrowers with no credit history. "There are so many ways to provide this: cellphone bill, utilities, insurance payments, buy here/pay here auto dealers and rent history, just to name a few," Vandenberg said. The first step is to apply for a secured credit card. With a secured card, you make a cash deposit, and that deposit becomes your credit limit. If you deposit $1,000, you can use your secured card to charge up to $1,000. Secured cards are easier to get, even for consumers with little or no credit history. Once you get your card, use it every month. But only charge what you can afford to pay back in full at the end of each month. Do this long enough, and you’ll steadily build a credit history. You can then apply for traditional, non-secured credit cards. Use these in the same way, making purchases that you can afford to pay off in full each month. Again, doing this will help you build a credit history over time. You can also build credit by paying off an auto loan or personal loans. Every payment you make, as long as it is on time, will help boost your credit history.